Summer is officially around the corner, and we can’t contain our excitement, as you can probably tell just by looking at the front cover of our May issue. 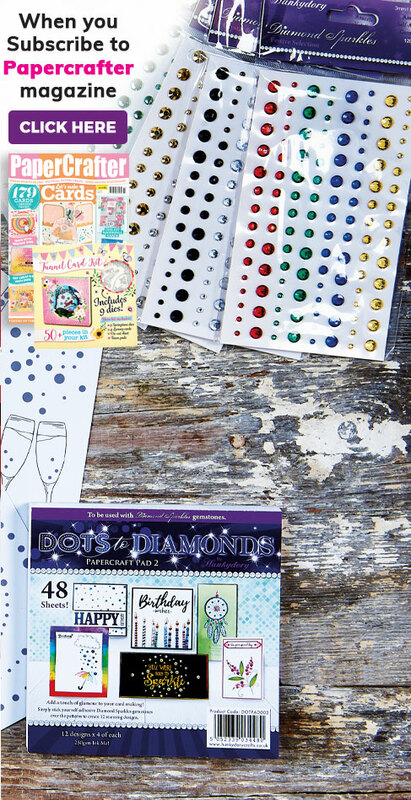 There’s a whole host of vibrant summery crafting ideas inside. 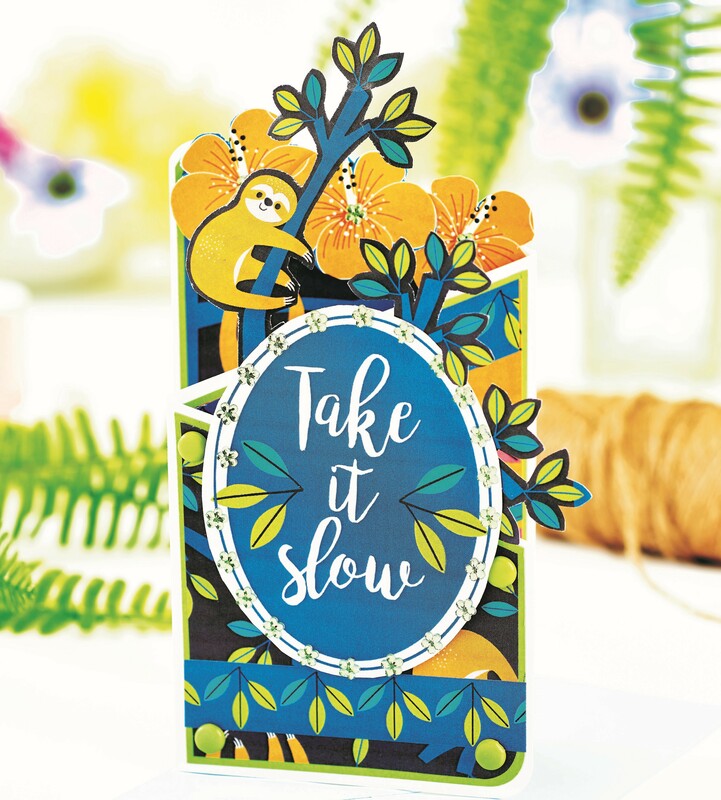 Our ways with nesting dies offers a foxy take on birthday greetings, the Floral Delights waterfall cardmaking kit will fill any room with sunshine, and your free Treetop Adventures paper collection will help you get up to all sorts of monkey business! What’s more, we have bumper giveaways with prizes totalling to a whopping £6,000, interviews with two quirky origami masters and a bunch of freebie projects that will keep you busy for a while. Your free Debbi Moore woodland digi stamps offer 53 options to get leafy, and of course, this issue’s main gift, the Tunnel Card Kit is a luxury goldmine, packed with nine springtime dies, four luxury cards, and more! 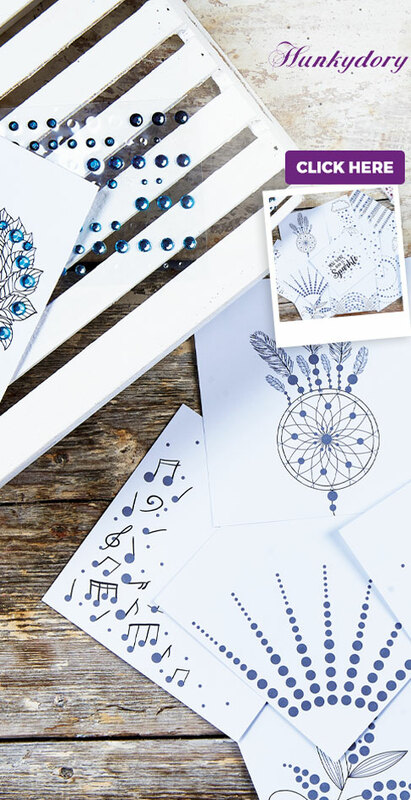 Whatever your main interest, you’ll be able to find something you like – and that’s a PaperCrafter promise. 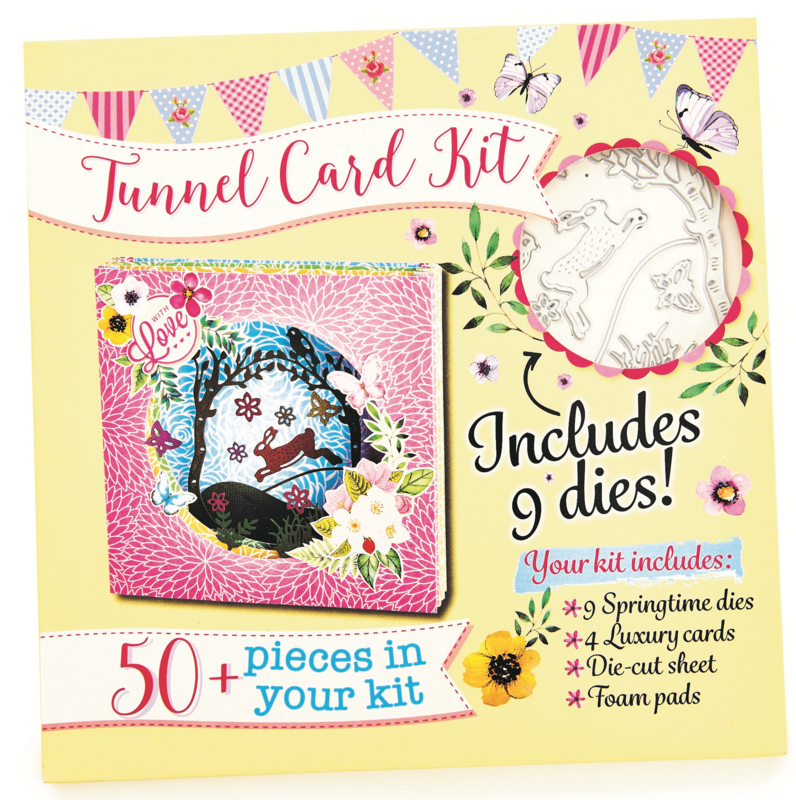 This month’s gift takes the hard work out of making a tunnel card. Corrine Bradd takes you through this bumper 50-piece kit, and, for good measure, we threw in some time-saving tricks and crafty ways to reuse any leftovers. 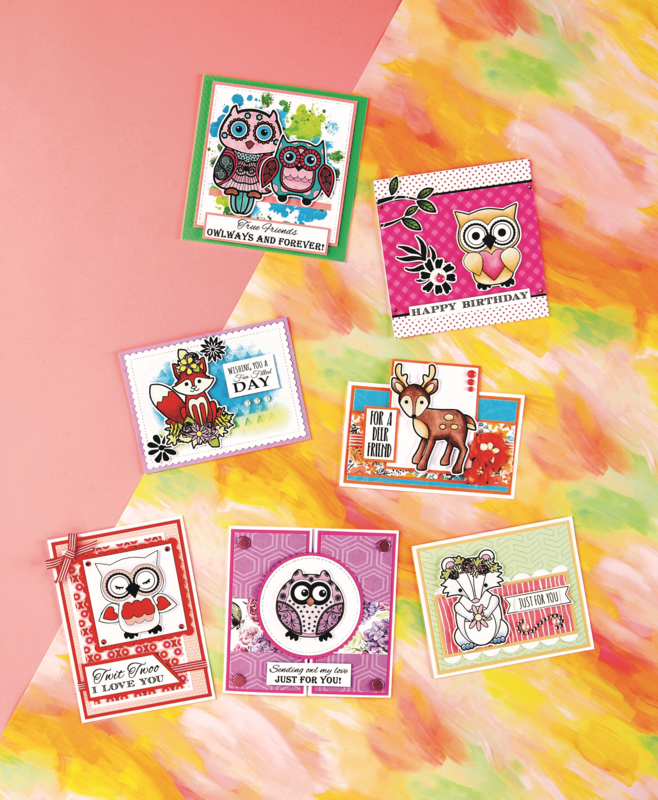 These woodland digi stamps, free with Issue 133, are guaranteed to send your cute meter into overdrive. Debbi Moore’s bountiful collection is chock-full with animal-based designs. 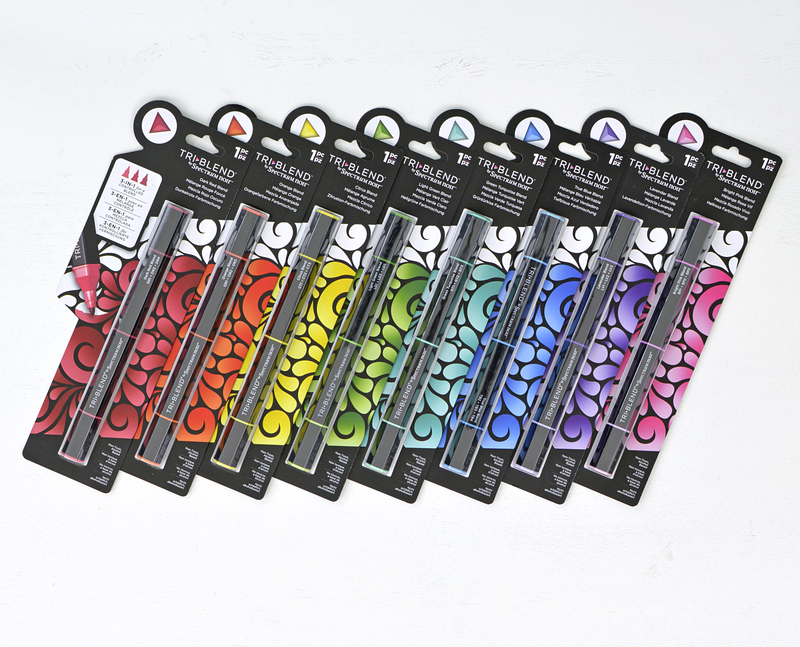 There’s pointers on which ink to use and which variations to try, among other things. Get in touch with nature and the latest paper collection included in issue 133. Jane Farnham’s pack of vibrant prints will transport you to a sunnier world, where flowers bloom forever and the sun stays out for more than 76 seconds. This issue, we spoke to the established Jenny Muncaster – artist and presenter of Amazon Prime’s The Artist In You. 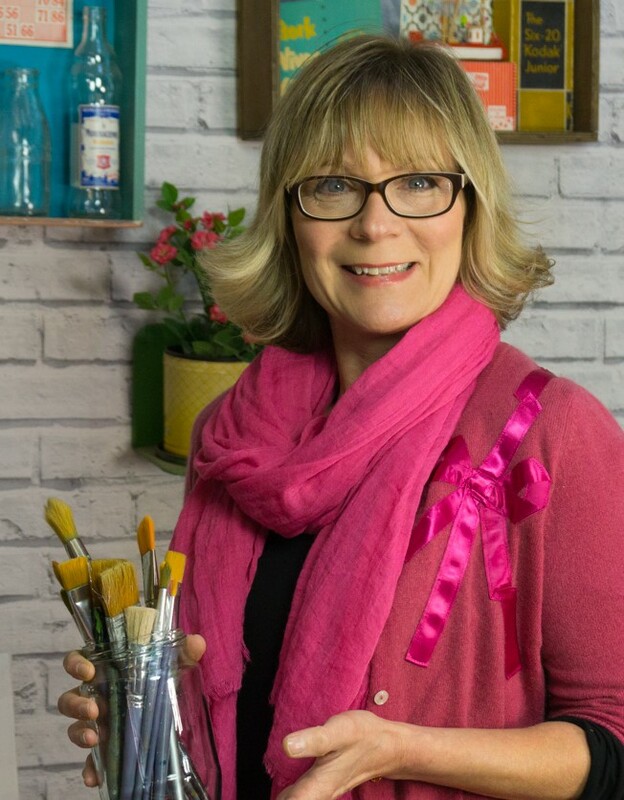 Jenny swears by Pebeo’s mixed media range, also going into detail about the other products she can’t get by without. Take note of these products when you read the interview – Ms Muncaster knows what she’s talking about. With up to £6,000 worth of prizes to be won, this issue’s giveaways have very much earned the title of ‘bumper’. Here’s a mere taster: a Gorilla Glue bundle to cover all your adhesive needs, a Red Letter Days escape for two, worth £400, and the opportunity to win one Cricut Maker with accessories. 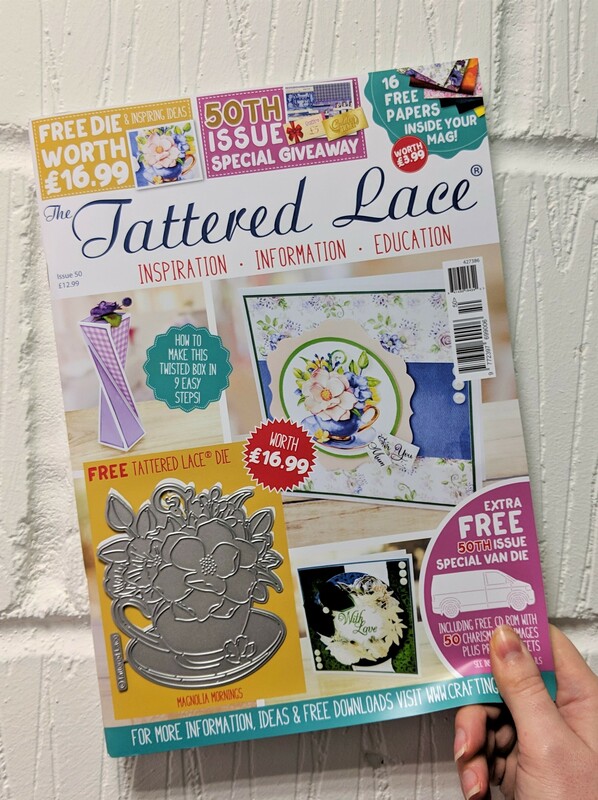 We’ve got a really special surprise for UK readers of PaperCrafter in our latest issue: a Tattered Lace magazine with a pack of dies and papers, designed by the esteemed Stephanie Weightman! We’re happy to be able to share this with our lovely readers.